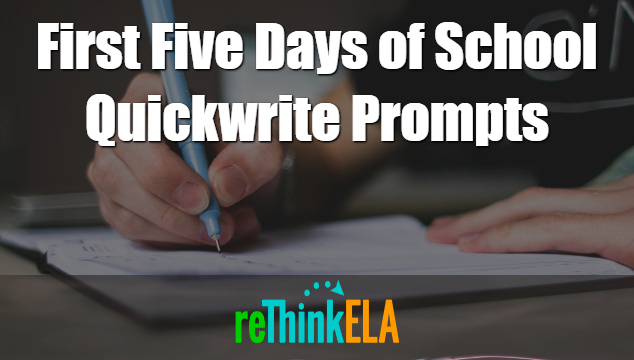 Download the First Five Days of School Quickwrite Prompts! The First Five Days of School Quickwrite Prompts will not only help you get to know your students, but will help them think about their future in your class and practice their writing skills from the very first day! Enter your name and email address below and you’ll be taken directly to our First Five Days Quickwrite page where you can access the prompts on our website or in a Google Slideshow.